42k and beyond: Compressport Impress again!! A headline that has been adapted, due to the arrival of 2 new products from Compressport. 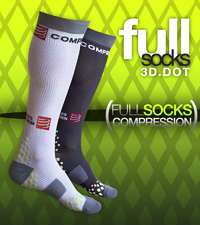 The Full Socks and Full Leg compression clothing from Compressport, isn't just up with the best, it has to be one of the best! 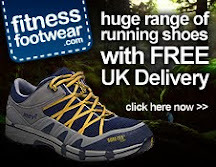 The first time I used these was on Monday last week after a few weeks lay off from running and I did a 7 mile run to work and then the same home again that evening. The energy I still had in my legs was staggering, due to the support, and even though I was flagging towards the end, my legs felt like they could carry on for hours!! The feeling once they are on is instant graduated pressure, rather than complete "squeeze it all together" pressure of other products. 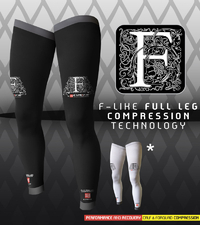 The Full Leg offers the combined benefits of the R2 and Quad products from Compressport by reducing the build up of lactic acid in the muscles and helping blood flow, and thus getting more oxygen to the muscles, helping them to not only work hard, but recover quicker (also ideal to wear after exercise to help aid recovery). They are ideal for those hard evening runs, worn under running legging and with the very cold mornings adds extra warmth, without over heating to the whole leg. The Full socks are without question the best I have ever used. Again the pressure supports the calf, and reduces muscle vibration, which in turn reduces the energy used and keeps the calves feeling fresh and full of go!! Funky little 3D.Dots on the soles are there to keep the feet cool, by allowing air in and the arch support is compressed enough to help the blood flow to keep the calves working, without feeling restrictive. These items are now a permanent fixture in my kit bag, and when Compressport extend their range into clothing for the upper body next year, you can guarantee that those products will be just as good and push the other compression companies into second place. Cant wait for my next training session later today! !